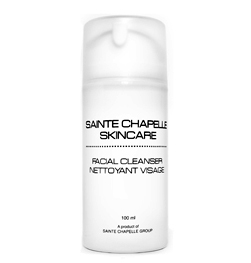 This foaming, soap-free facial cleanser gently purges dirt, makeup, and environmental pollutants from the skin as it hydrates and refreshes. 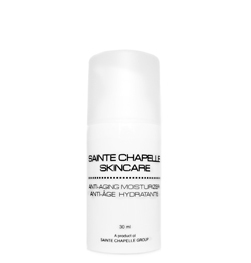 A lightweight moisturizer that contains Hyaluronic Hyluronic Acid, Vitamins E & C, Pro-Vitamin B-5, and Botanical Extracts. Hydrates and restores skin with antioxidants. For normal, oily and acneic skin. Water, Cetyl Ethylhexanoate, Sorbitan Stearate, Methyl Gluceth-20, Polysorbate 60, Dimethicone, Tetrahexyldencyl Ascorbate, Tocopherol, Tocopheryl Acetate, Panthenol, Cetearyl Alcohol, Ceteareth-20, Aminomethyl Propanol, Carbomer, Phenoxyethanol, Isobutylparaben, Butylparaben, Ethylparaben, Methylparaben, Propyparaben, Disodium EDTA, Fragrance. Full spectrum protection against UVA/UVB rays. 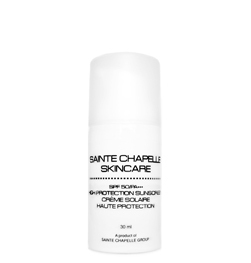 Protects against free-radicals and repairs cellular damage caused by solar radiation. Aqua, Ethylhexyl Methoxycinnamate, Octocrylene, Styrene/Acrylates Copolymer, Cyclopentasiloxane, Glycerin, Hexylene, Zinc Oxide, C13-14 ISOparaffin, Polypodium Leucotomos Leaf Extract, Phenoxyethanol, Titanium Dioxide, Laureth-7, Cetyl Dimethicone, Camelia Sinensis Extract, Topopheryl Acetate, Dichlorobenzyl Alumina, BHT, Simethicone, Triethoxycaprylysilane, Parfum, Linalool, Limonene. A smooth, richly textured regenerating cream. Its exclusive technology prevents and slows visible signs of aging, leaving skin firmer, smoother and brighter. To gradually lighten hyper-pigmentation of the skin such as age spots, liver spots, freckles or other areas of unwanted melanin hyperpigmentation that may occur during pregnancy or from the use of oral contraceptives. Exthoxydiglycol, Propylene Glycol, Purified water, L-Ascorbic Acid USP (Vitamin C), Hydroquinone, Grapefruit Extract, Fragrance. Ultra-smooth, easy-apply facial foundation /make-up sunscreens. 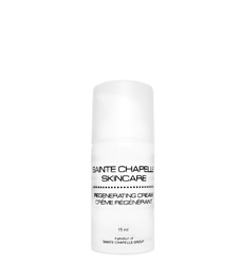 Providing advanced UV protection with skin tone enhancement and correction. The creamy smooth make-up enables daily use and is ideal when applied after aesthetic procedures or on areas of uneven skin tone where make-up cover is required. They are available in fair, light and brown shades for different skin tones. 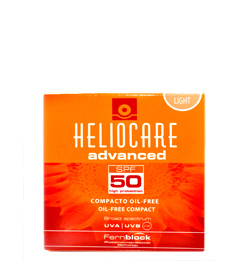 Heliocare compact is designed for normal and dry skin. UVA /UVB filters: Ultra-advanced mineral filters provide high level UVA /UVB protection with an elegant skin-feel and look. Photobiological protectants: Fernblock™: Natural fern extract rich in polyphenols and flavonoids, combined with Green Tea extract, provides biological photo-protection.